Match ends, Lazio 1, Bologna 0. Second Half ends, Lazio 1, Bologna 0. Goal! Lazio 1, Bologna 0. Lucas Biglia (Lazio) converts the penalty with a right footed shot to the high centre of the goal. Penalty Lazio. Felipe Anderson draws a foul in the penalty area. Penalty conceded by Archimede Morleo (Bologna) after a foul in the penalty area. Attempt saved. Felipe Anderson (Lazio) left footed shot from outside the box is saved in the bottom right corner. Assisted by Mamadou Tounkara. Corner, Lazio. Conceded by Nicolò Cherubin. Attempt blocked. Felipe Anderson (Lazio) right footed shot from outside the box is blocked. Assisted by Joseph Minala. Foul by Marek Cech (Bologna). Substitution, Lazio. Joseph Minala replaces Cristian Ledesma. Attempt missed. Giuseppe Biava (Lazio) header from the centre of the box misses to the right. Assisted by Keita with a cross. Stefan Radu (Lazio) wins a free kick in the attacking half. Foul by José Ángel Crespo (Bologna). Michele Pazienza (Bologna) wins a free kick on the left wing. Offside, Lazio. Stefan Radu tries a through ball, but Felipe Anderson is caught offside. Substitution, Lazio. Mamadou Tounkara replaces Miroslav Klose. André Dias (Lazio) wins a free kick in the defensive half. Attempt missed. 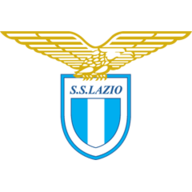 Stefan Radu (Lazio) header from the centre of the box misses to the left. Assisted by Cristian Ledesma with a cross following a set piece situation. Giuseppe Biava (Lazio) wins a free kick on the right wing. Foul by Michele Pazienza (Bologna). Attempt missed. Federico Rodríguez (Bologna) right footed shot from the centre of the box is close, but misses to the right. Assisted by Archimede Morleo. Substitution, Bologna. Federico Rodríguez replaces Robert Acquafresca. Offside, Lazio. Cristian Ledesma tries a through ball, but Senad Lulic is caught offside. Corner, Lazio. Conceded by Archimede Morleo. Ibson (Bologna) wins a free kick in the defensive half. Bruno Pereirinha (Lazio) is shown the yellow card. Bruno Pereirinha (Lazio) wins a free kick on the right wing. Corner, Lazio. Conceded by Mikael Antonsson. Attempt missed. José Ángel Crespo (Bologna) right footed shot from the right side of the box is high and wide to the right. Assisted by Archimede Morleo with a cross. Foul by André Dias (Lazio). Davide Moscardelli (Bologna) wins a free kick in the defensive half. Attempt missed. Davide Moscardelli (Bologna) left footed shot from outside the box misses to the right. Assisted by Archimede Morleo. 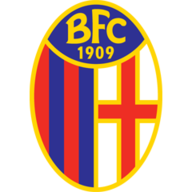 Delay in match Mikael Antonsson (Bologna) because of an injury. Attempt saved. Miroslav Klose (Lazio) header from the centre of the box is saved in the bottom right corner. Assisted by Keita with a cross. Attempt blocked. Stefan Radu (Lazio) left footed shot from outside the box is blocked. Assisted by Lucas Biglia. Ibson (Bologna) wins a free kick on the right wing. Felipe Anderson (Lazio) is shown the yellow card for a bad foul. Foul by Felipe Anderson (Lazio). Substitution, Lazio. Felipe Anderson replaces Antonio Candreva. Mikael Antonsson (Bologna) wins a free kick in the defensive half. Attempt blocked. Robert Acquafresca (Bologna) right footed shot from outside the box is blocked. Assisted by Ibson. Offside, Bologna. Michele Pazienza tries a through ball, but Archimede Morleo is caught offside. Archimede Morleo (Bologna) wins a free kick in the defensive half. Attempt saved. Ibson (Bologna) right footed shot from a difficult angle on the left is saved in the centre of the goal. Foul by Robert Acquafresca (Bologna). Second Half begins Lazio 0, Bologna 0. Substitution, Bologna. Ibson replaces Diego Laxalt. Substitution, Bologna. Mikael Antonsson replaces Cesare Natali. First Half ends, Lazio 0, Bologna 0. Michele Pazienza (Bologna) is shown the yellow card for a bad foul. Keita (Lazio) wins a free kick in the defensive half. Corner, Bologna. Conceded by Bruno Pereirinha. Corner, Lazio. Conceded by Dejan Stojanovic. Attempt blocked. Antonio Candreva (Lazio) left footed shot from outside the box is blocked. Assisted by Cristian Ledesma. Attempt saved. Antonio Candreva (Lazio) right footed shot from outside the box is saved in the top left corner. Assisted by Lucas Biglia. Attempt missed. Miroslav Klose (Lazio) header from the centre of the box is too high. Assisted by Antonio Candreva with a cross following a corner. Corner, Lazio. Conceded by Cesare Natali. Foul by Bruno Pereirinha (Lazio). Diego Laxalt (Bologna) wins a free kick on the left wing. Attempt missed. André Dias (Lazio) right footed shot from outside the box is too high. Assisted by Antonio Candreva. Attempt blocked. Antonio Candreva (Lazio) left footed shot from the centre of the box is blocked. Assisted by Keita. Attempt blocked. Miroslav Klose (Lazio) right footed shot from the left side of the box is blocked. Assisted by Lucas Biglia. Attempt saved. Keita (Lazio) left footed shot from the left side of the box is saved in the bottom right corner. Assisted by Senad Lulic. Attempt missed. Michele Pazienza (Bologna) right footed shot from outside the box is too high. Dangerous play by Senad Lulic (Lazio). Robert Acquafresca (Bologna) wins a free kick on the right wing. Offside, Lazio. Stefan Radu tries a through ball, but Keita is caught offside. Attempt blocked. Bruno Pereirinha (Lazio) right footed shot from the right side of the box is blocked. Attempt saved. Antonio Candreva (Lazio) right footed shot from the right side of the box is saved in the centre of the goal. Assisted by Miroslav Klose. Attempt blocked. Keita (Lazio) right footed shot from outside the box is blocked. Assisted by Senad Lulic. Foul by Cristian Ledesma (Lazio). Marek Cech (Bologna) wins a free kick in the defensive half. Attempt missed. Archimede Morleo (Bologna) right footed shot from outside the box is high and wide to the right following a corner. Corner, Bologna. Conceded by André Dias. Attempt missed. Keita (Lazio) left footed shot from the left side of the box misses to the right. Assisted by Cristian Ledesma. José Ángel Crespo (Bologna) wins a free kick on the right wing. Attempt missed. Robert Acquafresca (Bologna) left footed shot from outside the box is high and wide to the left. Assisted by Diego Laxalt.